Chennai, March 19: As the Lok Sabha elections are around the corner, various political parties are trying to woo the voters in every possible way. After the Dravida Munnetra Kazhagam (DMK), now All India Anna Dravida Munnetra Kazhagam (AIADMK) on Tuesday promised in its manifesto to release all seven convicts of Rajiv Gandhi’s assassination if it wins Lok Sabha elections 2019. AIADMK coordinator Deputy Chief Minister O. Panneerselvam and party’s co-coordinator and Chief Minister Edappadi K. Palaniswami released the election manifesto. NEET Ban, Release of Rajiv Gandhi's Killers Among Promises Made by DMK In Lok Sabha Elections 2019 Manifesto. In the manifesto, the party also promised to give statehood to union territory Puducherry. The AIADMK also promised a national-level poverty eradication scheme that would grant a sum of ₹1,500 a month for every family below the poverty line (BPL) through ‘Amma National Poverty Eradication Scheme’. In the manifesto, it also promised that it would urge the Centre to call for an international probe into the alleged war crimes during the civil war in Sri Lanka. 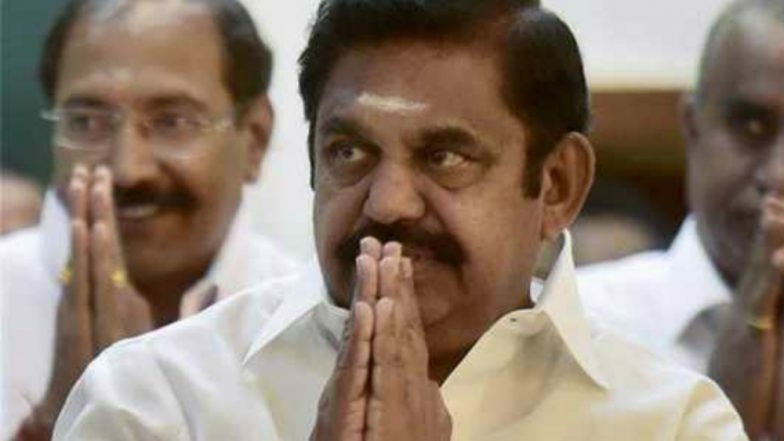 The AIADMK, the Bharatiya Janata Party (BJP), the Pattali Makkal Katchi (PMK) and the Desiya Murpokku Dravida Kazhagam (DMDK) announced the allocation of seats in Tamil Nadu and Puducherry on Sunday. The Tamil Nadu Deputy CM announced that AIADMK would contest 20 seats. The PMK will contest on seven seats, while the BJP will contest on five seats. Meanwhile, The All India NR Congress will contest from lone Lok Sabha seat in Puducherry. Lok Sabha Elections 2019 Schedule: Voting In 7 Phases From April 11 to May 19, Counting And Results On May 23; Check All Dates For General Elections. Earlier, The DMK issued a manifesto ahead of the parliamentary polls. In the manifesto, the party said that it would ban the NEET exam if it wins Lok Sabha seats in the state. The DMK also promised to release the assassinators of former Prime Minister Rajiv Gandhi. Tamil Nadu is going for polls in a single phase on April 11. Meanwhile, the election dates were announced by the Election Commission chief - Sunil Arora (Chief EC) on March 10. The Lok Sabha polls will be conducted in seven phases between April 11 and May 13. The results will be declared on May 23.